New Sunday School Lessons and Resources at Rotation.org! New techniques added in the Ways to Read & Discuss the Bible, Class Management, Discipline forum, ...including ways to use your cell phone to create "Bible Story Selfies." Ways to use photography in the A-V (Video) Workshop --a new topic and list of ideas. New ideas in the "Using Music to Teach the Bible" forum. Discussion about how to handle "The Exodus Plagues" with young children. Feeding the 5000 Cooking Workshop Idea --types of candy mosaics. 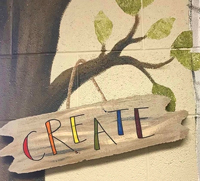 New Workshop photos from United Presbyterian in Sterling KS (look for them at the end of each workshop photo topic). 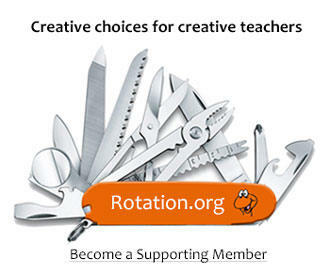 Here's a Rotation.org graphic to share and discuss with your teachers... Supporting Members can read the full training article this neat graphic comes from. Everyone can read the Magi lesson summaries and Bible Background. Our Magi lessons go deeper, get more creative, and spend more time in life application than those typical "kiddie craft, star and gift" lessons. And a Video~Music Workshop that uses four free clips --including two from Disney's "Moana" that will make you go say "Oh yeah! Several of the Magi Lessons are suitable for special Advent and Epiphany programming. As you can see, it's been a busy, busy summer at Rotation.org. We continue to improve existing content and add new. All this is possible because teachers and churches believe in our mission to collect and create an archive of CREATIVE content that's here when you need it. If you haven't yet become a Supporting Member, now would be a GREAT time to become one as we prepare our 2019 budget. If you are already a supporting member, please consider RENEWING NOW so you don't forget to do it later. Blessings as you launch into another exciting season of Sunday School!